Some of you may or may not know this. I am not a smoker (as in the green cannibas variety), and haven’t been for almost 2 decades. In my life time I’ve smoked what seemed like truckloads of weed. Through all of that I had what I thought were plenty of good reasons to smoke, and since then have had plenty of good reasons to stop, so I’m no apologist for those who do smoke. I do not however understand how anyone can claim some sort of moral high ground by advocating throwing people who do use this plant recreationally into a concrete box away from their family and friends where they may be physically attacked, mentally traumatized and even raped for doing something that is (against the law). To have the stance that such a thing is acceptable is a sign of a few possibilities in my opinion. -You have been the victim of decades of indoctrination that leads one to think that legality = morality. Which is demonstrably false, just crack open a book of any number of arbitrary politician doodles current or from years past (aka laws, and stautes) and this is obvious. -You may posses a special type of psychopathy and cowardice. Just think about it for a second. If you want officers of the law to carry out such things on other people who engage in (objectionable behavior.) I’m imagining you have no intention of clubbing and kidnapping someone at gunpoint yourself, but find it perfectly fine to fund state bulldogs in blue uniforms to do it for you with stolen tax dolllars. I ask you, oh apologists for the war on drugs the following question. 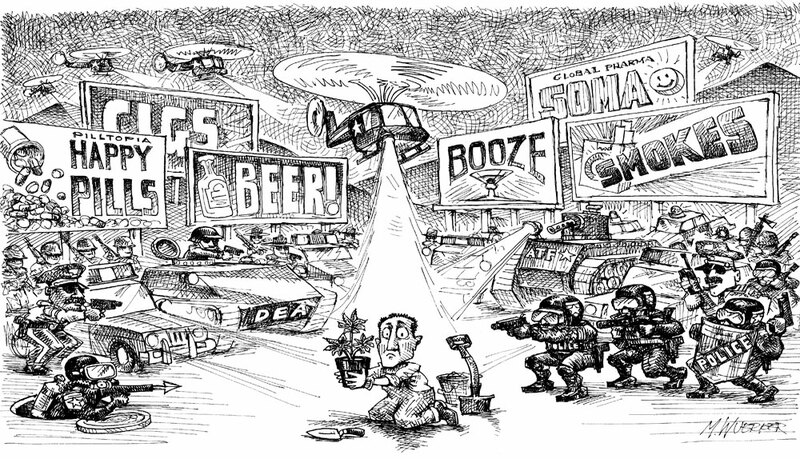 If it were the 1920’s beer would have been illegal and marijuana would have been legal. Would your stance be that beer drinkers deserved a trip to prison? Should beer drinkers have had their doors kicked down, their property seized, be taken away from their friends and family and thrown into a cage where they can be abused in a variety of ways? You cannot advocate one and be against the other and stay logically consistent. 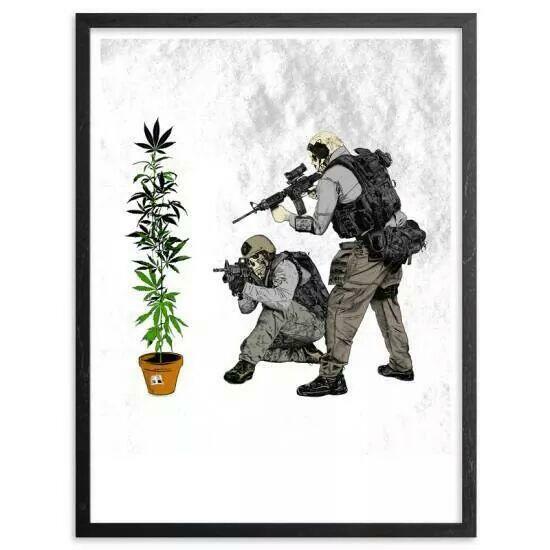 The war on drugs is not a war on drugs. It is a war on people who have behaviors that some object to. It has cost billions of dollars and been an absolute failure. There is no good reason to continue this lunacy. No good reason except no one in political authority wants to be the one to point it out, and this despite the fact that the current generation of politicians in Europe and the US probably smoked weed as youths.